Finally, a cat litter scoop that lives up to its name: The Dura Scoop! Scoop will not bend and therefore will not flick litter (and other stuff) out of the litter-box. Large size and solid construction allows you to free up large clumps with ease. Polished aluminum finish will not rust or corrode and break, as cheaper scoops will. 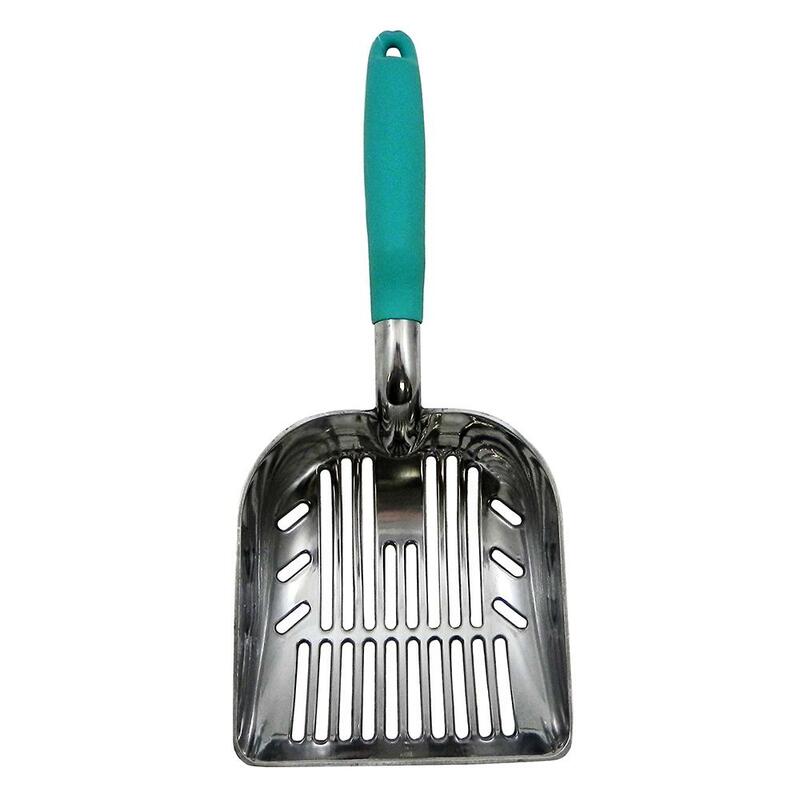 The Dura Scoop features a soft and comfortable handle, with smooth edges and a no-slip texture. Ergonomically designed from the perspective of creating a useful tool, the Dura Scoop's handle has finger grooves and is well-balanced to reduce strain on the wrist. Perhaps one of the most important features of the handle is its 8-inch length; keeps your hand away from the mess. More of a light-weight sifting hand-shovel than a scoop (at least compared to inferior litter scoops that most of us are used to using), the DuraScoop can scoop up large clumps and scrape the bottom and sides of any litter pan with ease. The DuraScoop is also at home in the garden, on the factory floor, scooping commercial ashtrays, and in the field on archeological digs.